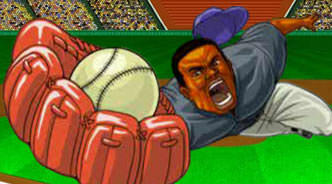 Candystand baseball is one of the most popular and addictive free baseball games online. It is supported by advertisements and you will have to watch a video commercial before beginning to play. If you have adblock enabled on your computer you might not be able to play Candystand baseball. In Candyland baseball you play against the computer and bat first. The pitches come in fast and furious so be prepared. Each hitter is rated on power, speed, skill and luck. If you have a very fast batter you might want to think about bunting. (All actions are controlled from the keyboard and are explained in a glossary right below the game screen.) Bunting can be very effective in Candyland, however you wouldn’t want to bunt with a power hitter because even better that a drag bunt base hit between the first and second baseman is a base-clearing long ball. Running the bases might take a little get used to but once you do you’ll be taking that extra base on singles or even straight out swiping bags. Pitching is simple enough. You chose the location and can also manipulate the speed and pitch type. Fielding uses similar key combinations to base running. The games last five innings and are not only scored in a traditional baseball sense but you also gain points for positive actions. 50,000 points gets a bronze trophy, 80,000 silver and 100,000 gold. You can submitted your points to Candystand and if you qualify you will make their baseball leader board. By submitting your scores you will also be eligible for raffles which award prized and cash money. There are no popular cheats to beating Candystand baseball, so it looks like you will have to use your God-given hand-to-eye-coordination in defeating the game. 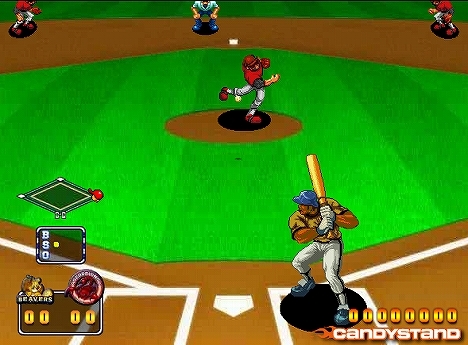 For a flash video game, the game play of Candystand Baseball is quite advanced and realistic. And the game’s fast pace and sound effects makes it feel like you are in the seventh game of the World Series. 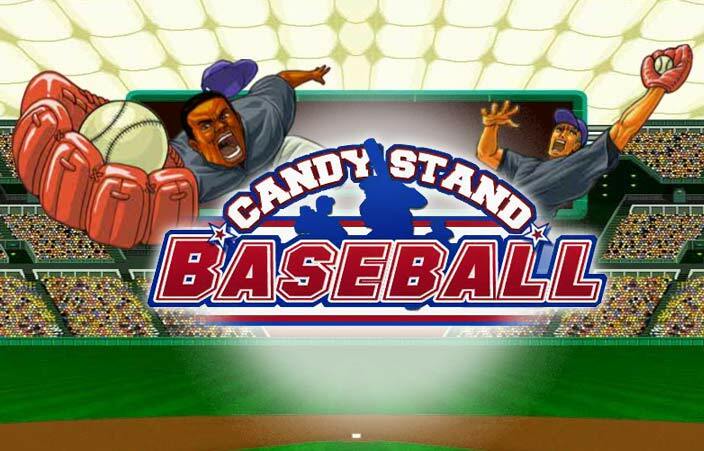 Candystand baseball is just one of many baseball themed titles from Candystand, which was originally launched by Nabisco in 1997 as an advertising portal but is now owned by Publisher’s Clearing House. Their other baseball games include Home Run Derby and Bullpen Blast. Sadly, the always popular and highly addictive Candystand Whiffle Ball seems to have disappeared from the Internet since Nabisco sold the company.